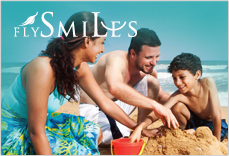 Vibrant butterflies flutter in the air across the island creating a picturesque sight. 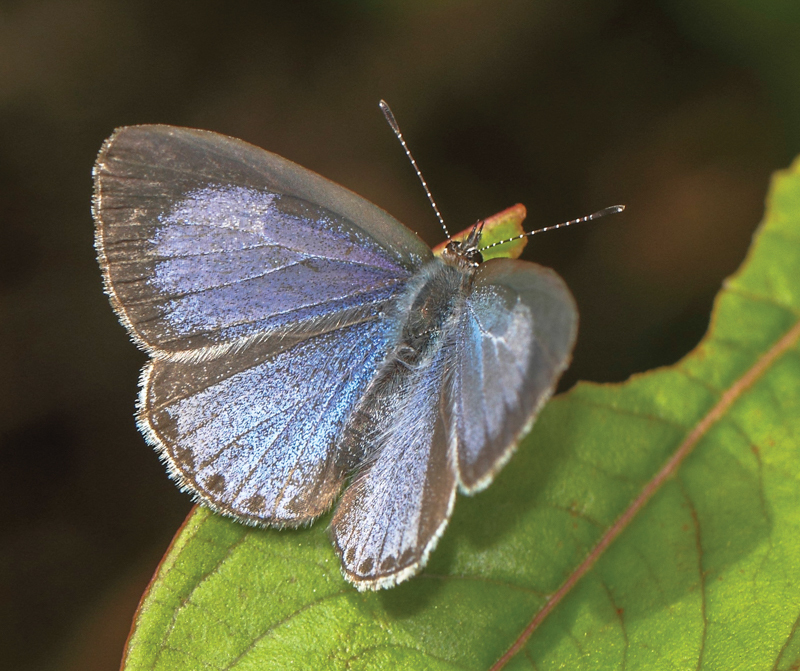 There are many rare and beautiful butterflies that make Sri Lanka their home. Butterflies are a unique creation of colour, and shape in motion that has fluttered as well as hovered over earth for millions of years. 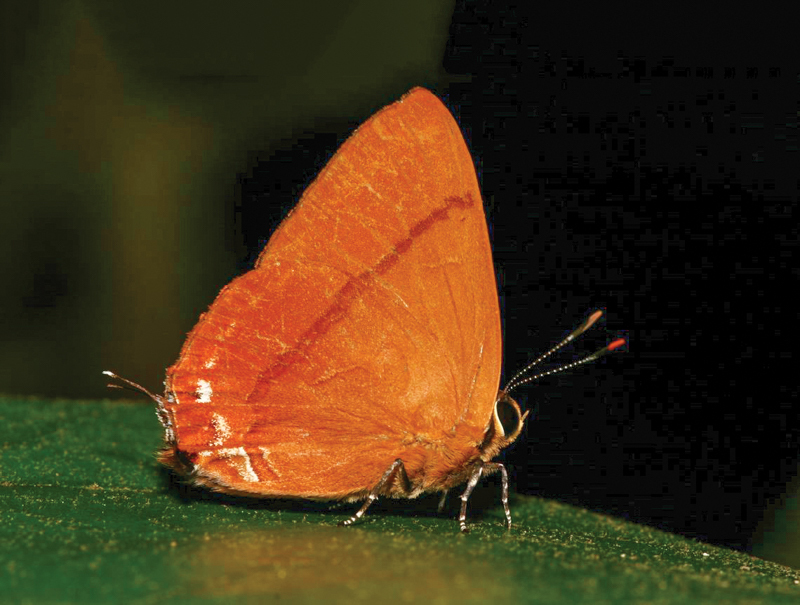 Sri Lanka is home to a kaleidoscope of tropical butterflies, with 247 species in total, which includes 26 endemics. Many species are seasonal as they appear depending with the abundance of their feeding plants, as well as their unique breeding plant. 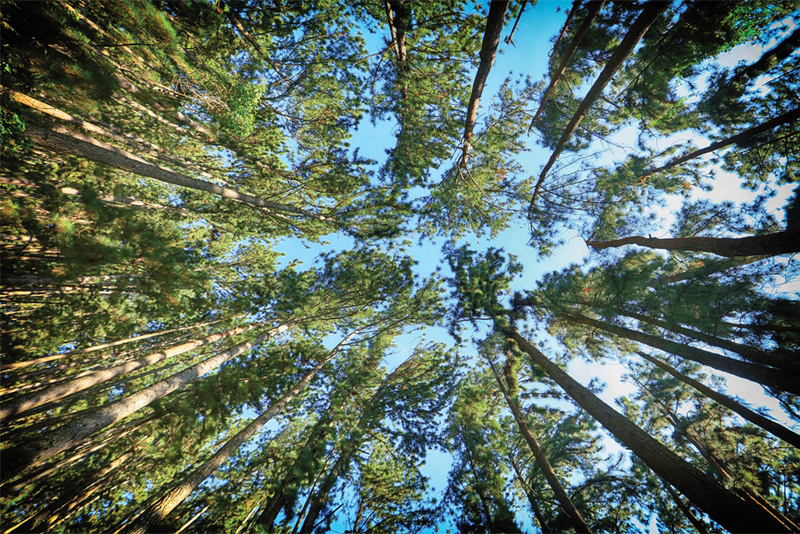 These in turn depends on the island's rainfall patterns. The best time of the year to witness butterflies in Sri Lanka are from July to August after the heavy rains in the wet zone. The months from January to March are the best time to witness hill country butterflies. 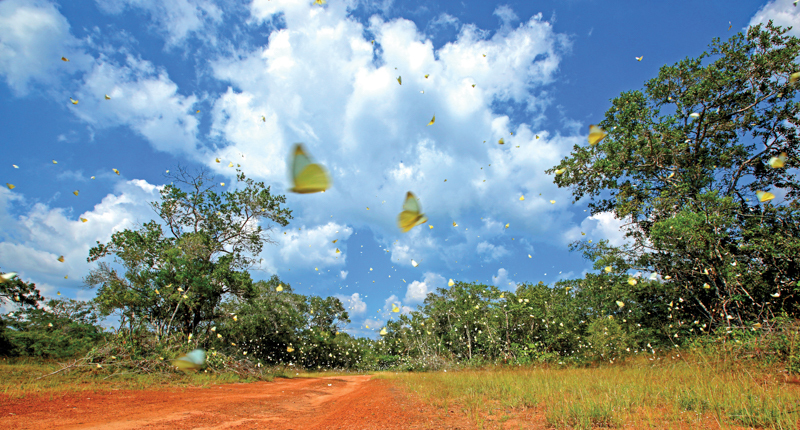 Sri Lanka is home to a kaleidoscope of tropical butterflies... The best time of the year to witness butterflies in Sri Lanka are from July to August after the heavy rains in the wet zone. The islanders call butterflies ‘Samanalayo' in Sinhala. These delicate insects of nature, have a unique feeding structure called the ‘proboscis' with which they draw the nectar from flowers. This has not one but two tubes, which are identical in structure. The ancients in Sri Lanka undoubtedly knew this, because they named these insects Sama-nala-yo, which literally means ‘bearers of equal-tubes'. It does not stop here as the natives named the tallest summit of the central hills Peak Wilderness as the ‘Samanala-kanda', for each year from January to March millions of butterflies seem to fly to the summit of the peaks of the central hills. Seemingly these insects do this in search of better feeding and breeding grounds. Of many trails leading to the summit, the Erathna trail is the best to observe butterflies during the season. The magic often lies in the kinesthetic of the butterflies that reside in the jungles. No two species will possess the same motion. From a flutter, to a hover, to a glide, while some even cascade to the forest floor, each movement is an effort to survive and avoid predators. The endemic Sri Lankan Blue Oak Leaf, is a remarkable deceiver in the natural world. Its wings when closed resembles a dry leaf, complete with the midrib and veins, and markings of a typical decaying leaf, while the magic breaks when they open their wings revealing a beautiful bright blue. 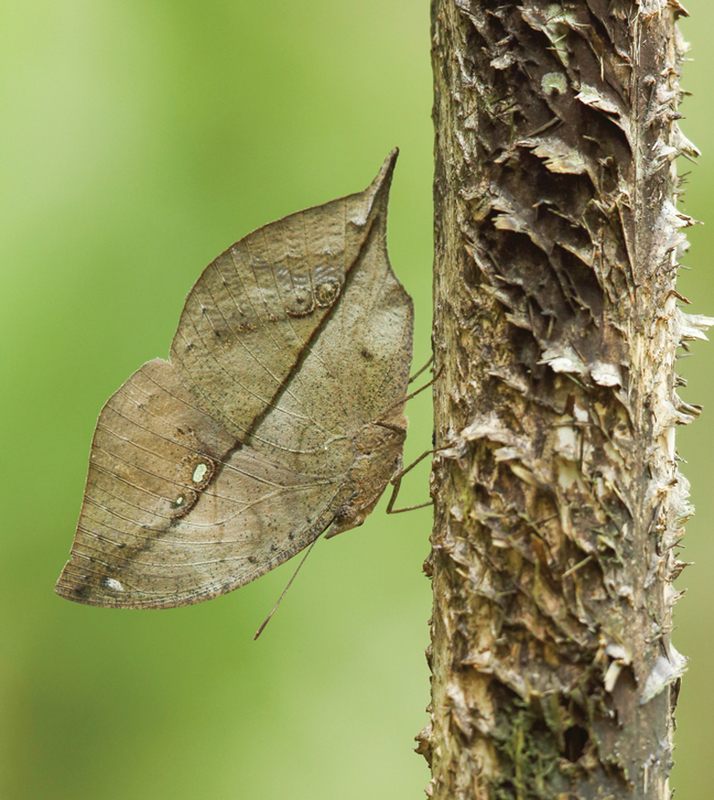 Sinharaja rainforest is perhaps the best location to experience many of these butterflies. The best timings to observe their magic flutter in the tropical climate, is between the morning hours, which begins by around eight and ends at midday. The entrance of this wildlife haven is often greeted by endemic Sri Lankan Tree-Nymphs. Although they lack the vibrant colours, one can never miss their presence for they are fairly large in size and their unique glide resembles that of a floating object. The best timings to observe their magic flutter in the tropical climate, is between the morning hours, which begins by around eight and ends at midday. We were fortunate to experience a once in a lifetime moment in these magical forests, when photographing a few shots of a butterfly perched on a glossy leaf. What made us capture this particular butterfly, was its banded legs and antennas where its tip was dotted in red, and were moving. Little did we know that this was perhaps going to be one of the very few photographic captures of the Malabar Flash in Sri Lanka. Butterflies acquire their magical wings to mate and to dispose their eggs in as far across the land as their flight permits. 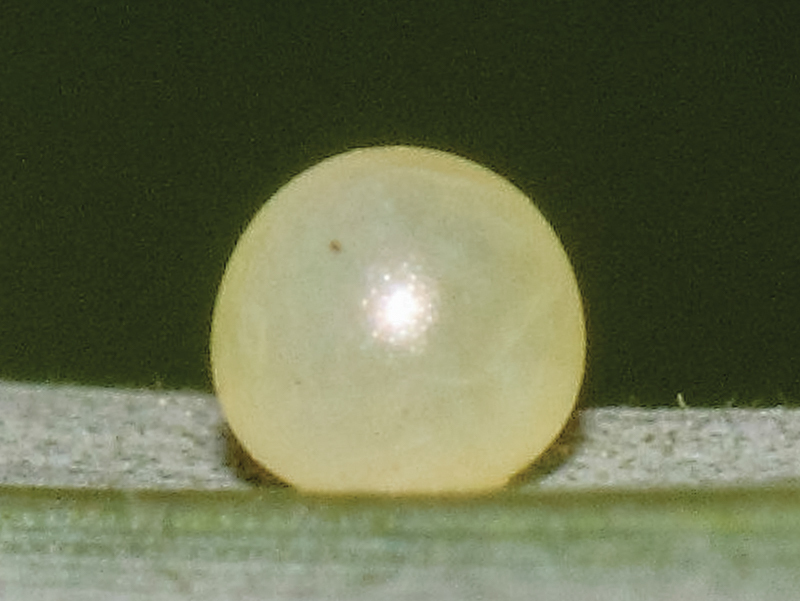 The minute eggs hatch, to give birth to its larval caterpillar. This is an engineered eating machine who's first meal is often the egg shell. 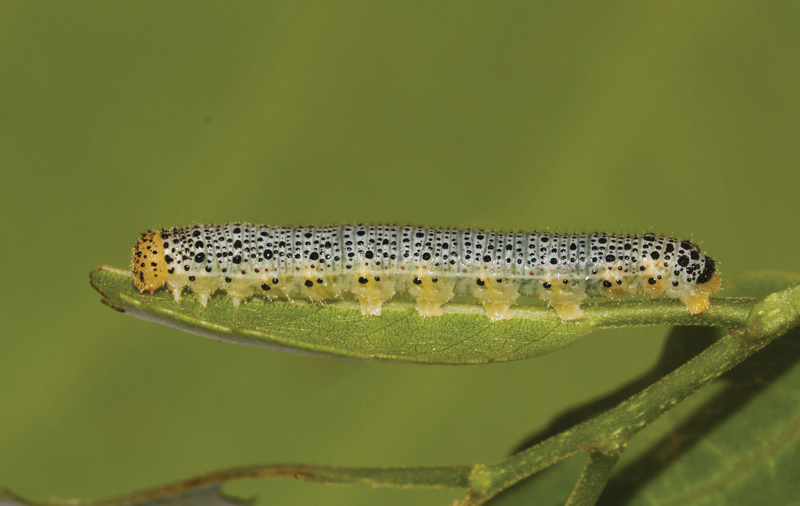 Amazingly, nature has barcoded the young so that the larvae can devour just one particular plant. 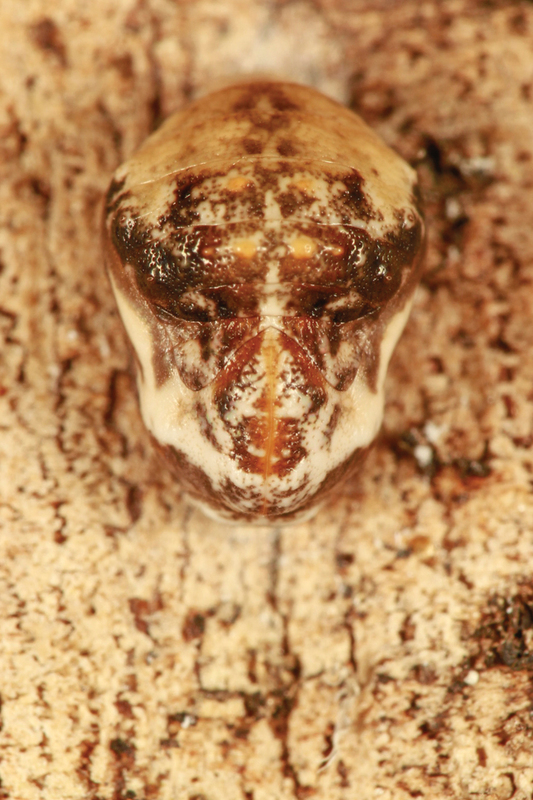 The larval caterpillars come in a wide array of outfits. Despite their strange appearance and spiked armour, the Crimson Rose and Tawny Coster are harmless caterpillars. 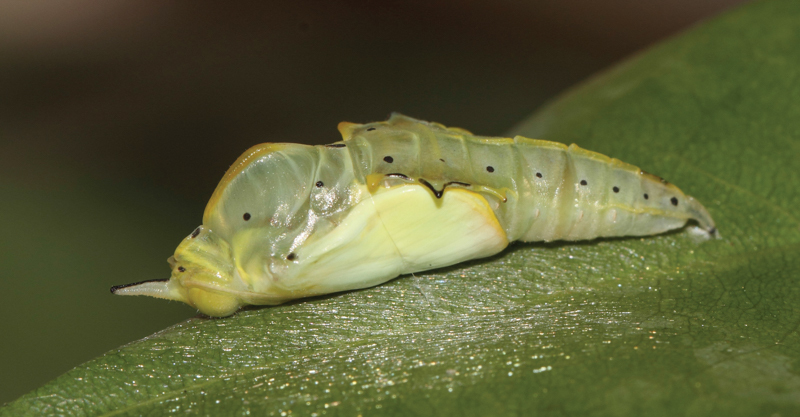 Some, such as Blue Mormon larvae, go to the extreme of mimicking bird feces to ward off predators. 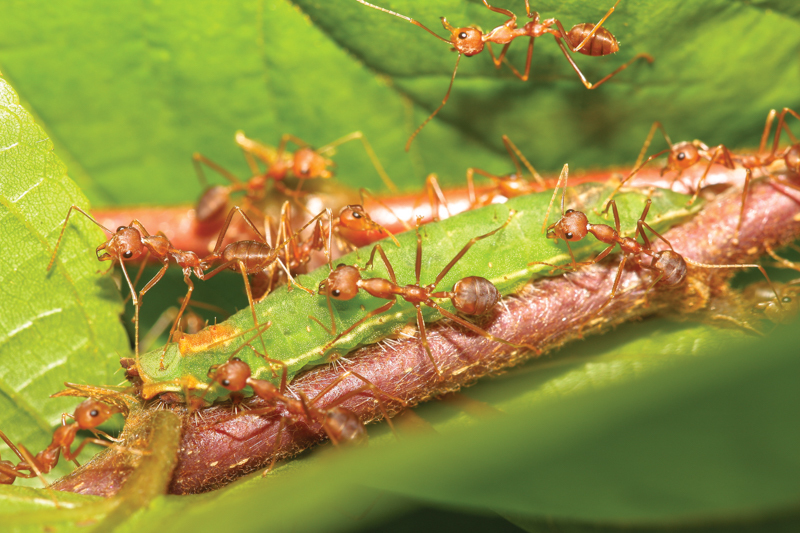 While devouring as many leaves as possible, and maturing through different stages, young like the Lycaenid caterpillar even decide to live in harmony with ants. The ants are simply bribed with a sweet nectar like substance, which they secrete from a gland on their skin; thereby the Lycaenid caterpillar secures protection. The next stage is a magical period in stillness within a chrysalis or pupa as the caterpillars change its outer clothing to transform into a winged adult. 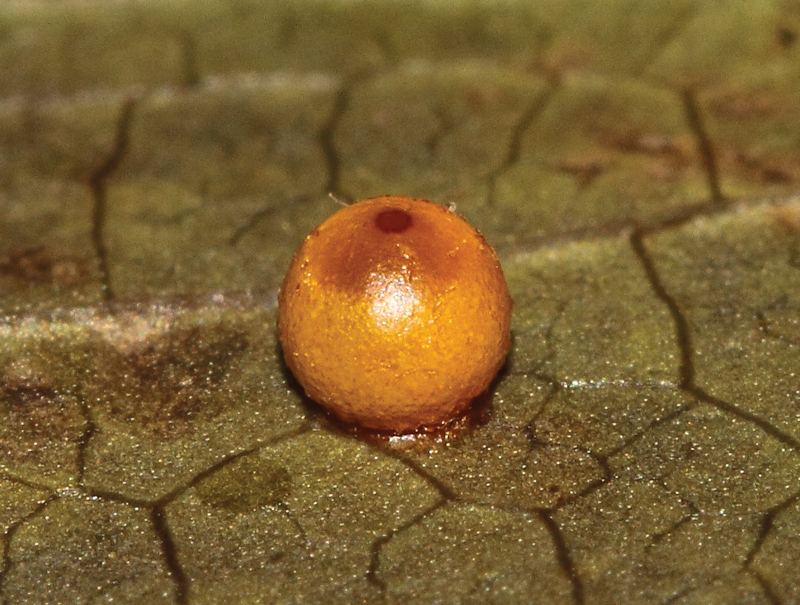 The chrysalises are diverse, while some even faintly resemble basic facial features such as that of the Cerulean's pupa. 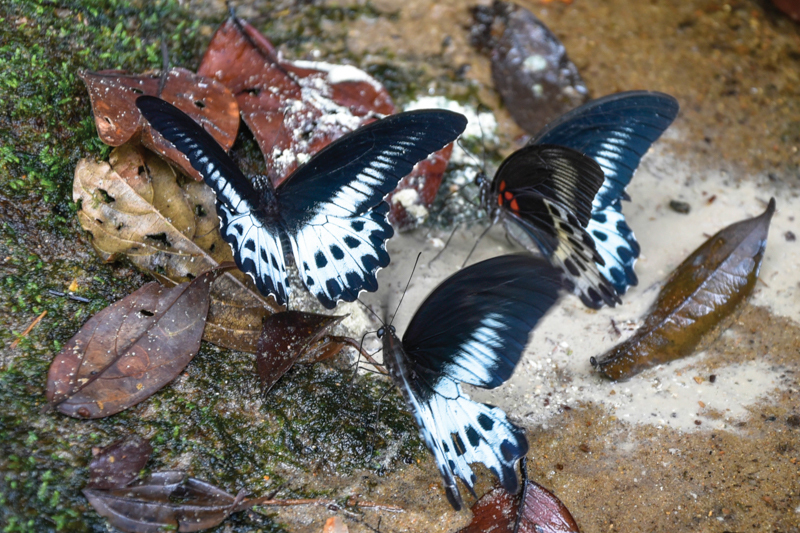 The largest of the butterflies found in the island are the Sri Lankan Bird Wing and the Blue Mormon. 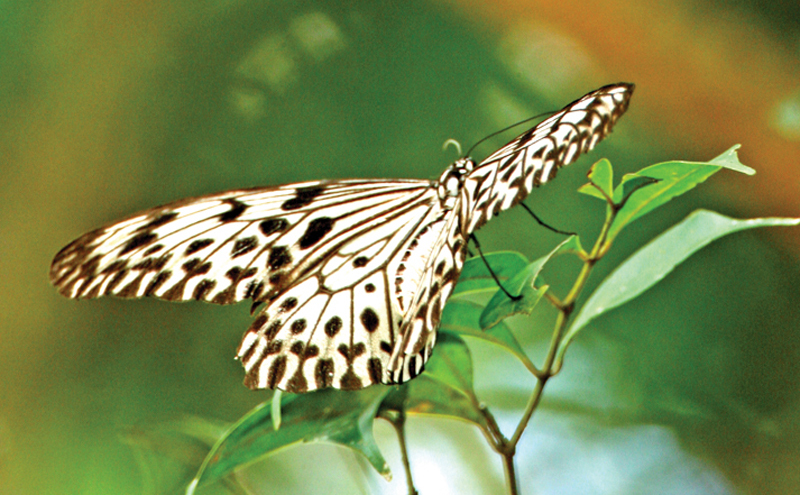 The largest of the butterflies found in the island are the Sri Lankan Bird Wing and Blue Mormon. The latter has bright blue wings inside and can be observed in almost any tropical lowland rainforest; they can even be seen fluttering in urban butterfly gardens. To attract these beauties and to attempt to conserve these creatures, many butterfly enthusiasts have butterfly-friendly plants in their backyards. Drawn to nectar and their larval food plants, these butterflies don't think twice to lay their eggs. Butterflies are colourful creations of nature. Flying in swarms, they fill the air with a flutter of magic. The diverse topography and climate of the island, makes Sri Lanka an ideal location to witness these magnificent beauties.